Angelique Kerber has started her preparations for the US Open with a win. Three weeks before the start of the last Grand Slam of the year in New York, the Porsche Brand Ambassador won the WTA Premier Event in Stanford, California on Sunday by beating Karolina Pliskova in a hard-fought final 6-3, 5-7, 6-4. Having already won in Stuttgart, Charleston and Birmingham, it is the fourth WTA title of the season and the seventh of her career for the 27-year old German – the Porsche Tennis Grand Prix winner in April. The final in Stanford was a repeat of the one in Birmingham in June when Germany’s current No. 1 also overcame the strong Czech in three sets on grass. In the previous year, Angelique Kerber also reached the final in the Californian university city where she however lost to Serena Williams. Against Karolina Pilskova, who despite her defeat will break into the world Top 10 for the first time when the new WTA rankings appear on Monday, she was able to continue the excellent form she has shown throughout the year. Though she lost her very first service game, she eventually took the first set. She lost the second 7-5 but was never in any real danger in the final set. 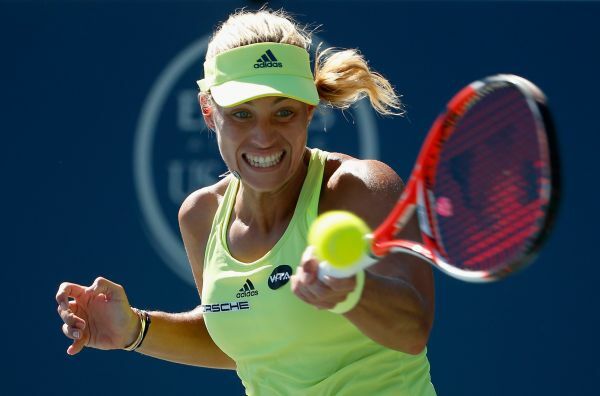 With her win in Stanford, Angelique Kerber crowned a successful sporting weekend for Porsche in the USA. Prior to the Porsche Brand Ambassador, a motorsport enthusiast, winning in California, Porsche came away from the sports car race in Elkhart Lake in the US state of Wisconsin with a one-two.